Making a will is your only guarantee that the proceeds of your estate will go to the people and causes that you care about . If you know that, when the time comes and you will no longer need your worldly wealth, a portion of it has been safely promised to NEDDI, then you also know that you can and you will really make a difference. You could play an vital part in our future. NEDDI will continue to rely greatly on being included in wills. A substantial amount of our voluntary income is received this way. By remembering The New European Distressed Donkey Initiative in your will you will be helping us to improve the lives of the donkeys, present & future, that NEDDI takes into its sanctuary. Every year we continue to care for them and we would not be able to do this without the legacies left to us by kind supporters. The NEDDI organisation could only do a small proportion of the work we do today and hope to do in the future without the generous gifts left to us in people’s wills. 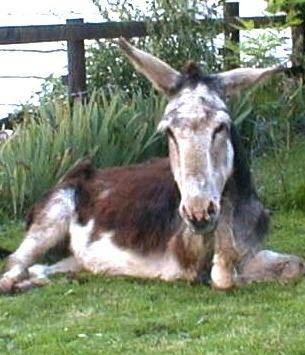 These bequests go a long way and will continue to help us care for donkeys who need us. We value every single bequest, no matter how small or large. Of course, leaving a legacy is not a decision that can be made lightly. Here you will find everything you need to know about leaving us a legacy. How legacies help us? This is a set sum of money which you can leave either to individuals, charities or organisations. Pecuniary legacies can be index linked so that the value of the gift increases with inflation. Otherwise, the value of the bequest will decrease over time, as the cost of living increases. This is what is left of your estate once all other monies have been paid out. Unless you specify how you would like the residue to be disposed of, the Government will decide where it is to be paid out. For more information about leaving a legacy, including a guide to writing your will, please request our legacy pack. We advise anyone making or updating a will to get in touch with a practising solicitor to help you do this. What type of legacy most benefits NEDDI? A residuary legacy benefits NEDDI the most because it is not lessened by the rate of inflation. A residuary legacy is the residue or remainder of your estate after other specific bequests have been made. Can I leave NEDDI a specific sum of money? Yes you can. A specific sum (or pecuniary legacy) is the simplest form of legacy. You can also protect the value of your gift by directly linking it to the cost of living, so that it doesn’t reduce over time. Can I leave NEDDI specific items? Again these gifts are very welcome. You can leave items such as property, antiques, jewellery and stocks and shares. Solicitors normally advise you to review your will every few years to make sure that it reflects your changing circumstances. Can Scottish law affect my legacy to NEDDI? Yes, Scottish laws relating to wills do differ in some areas and we would strongly advise you to speak to your solicitor who will be able to advise you and ensure that your wishes are carried out. Discover more about Scottish law by visiting the HM Revenue and Customs website. 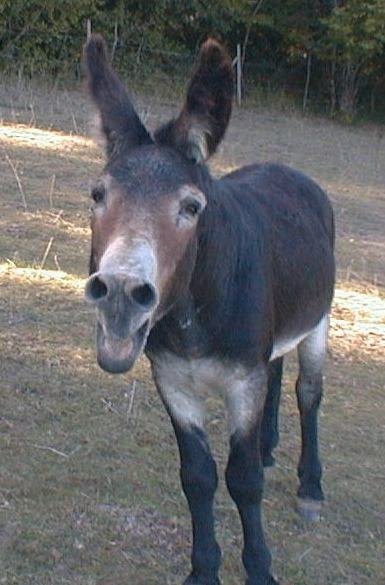 I give to The New European Distressed Donkey Initiative Ltd., (UK postal address) PO Box 56, Wadebridge, Cornwall PL27 9BJ or La Ferme du Village, 107 rue de la Place, Questrecques, 62830, France (Registered number 3098847) the sum of …, for their general purposes and the receipt of the proper officer of the charity shall be sufficient discharge for my Trustees. I give (…%) of the residue of my estate both real and personal to The New European Distressed Donkey Initiative Ltd., (UK postal address) PO Box 56, Wadebridge, Cornwall PL27 9BJ or La Ferme du Village, 107 rue de la Place, Questrecques, 62830, France. (Registered number 3098847) , for their general purposes and the receipt of the proper officer of the charity shall be sufficient discharge for my Trustees. Informing us of your legacy helps us plan our future work . If you are intending to leave a legacy to NEDDI. We would be grateful if you could let us know details of your pledge by printing off the the form below and sending it, by fax or post, to NEDDI; such pledge is not legally binding but will help us to plan for the future.